Emma Watson gives her fans a suggestion on what to read for Halloween. Of course, the Harry Potter actress went with a classic creepy tale full of suspense. She recommended Daphne du Maurier’s Rebecca. For those of you not familiar with Ms. du Maurier’s work, if you are a fan of Alfred Hitchcock then you will certainly recognize her stories. Hitchcock directed an adaptation of Rebecca in 1940. Also, The Birds was based on one of du Maurier’s efforts. SP🎃🎃KY TREAT 📚 Sept/Oct @oursharedshelf members’ choice winner is Rebecca by @D_DuMaurier. It’s a gothic thriller with well-drawn female characters & some prophetic feminist themes. Don’t want to give anything more away 👻 it's a creepy classic! 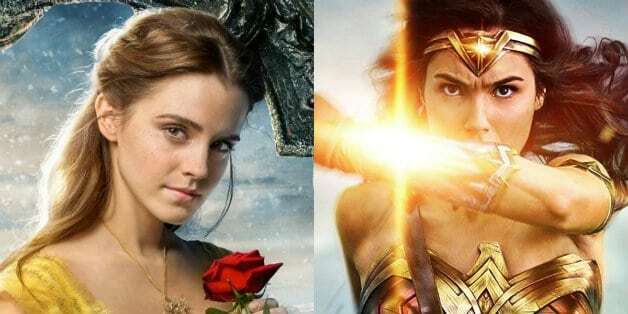 The actress included a fun snapshot of herself dressed as Wonder Woman (the Gal Gadot version) and a friend costumed as Yoda. Evidently, she is looking forward to the upcoming holiday. Fans who are missing Emma will be happy to know that she has another movie coming out. Oddly enough, it is based on the famous novel, Little Women by Louisa May Alcott. Set in the current time, and directed by Greta Gerwig, the film also stars Saoirse Ronan, Meryl Streep and Laura Dern. It will be released on December 25, 2019. What do you think of Emma Watson’s required reading suggestion? Feel free to share your comments in the section below.